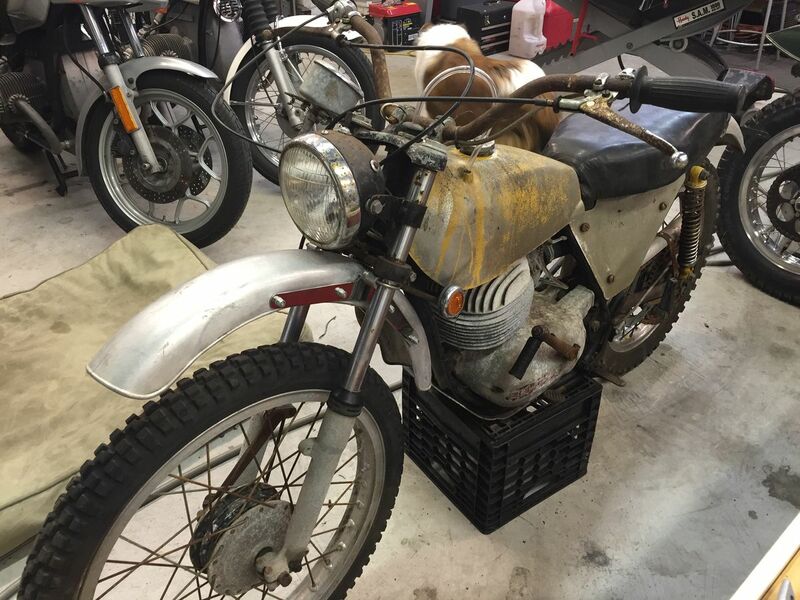 I consider this Bultaco 125cc my first bike. My father and grandfather helped me buy it at age 12. I had a paper route and they made me hand over my weekly pay! I remember taking the owner’s manual to school to read about it and gaze at the pics. I used it for trials and trail riding. 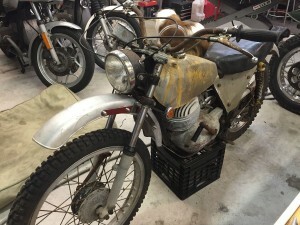 This particular model 62 was found at Hugh’s Bultaco in 2015 – I’ve been looking since 2006! A bit crusty, but still a great trail bike!